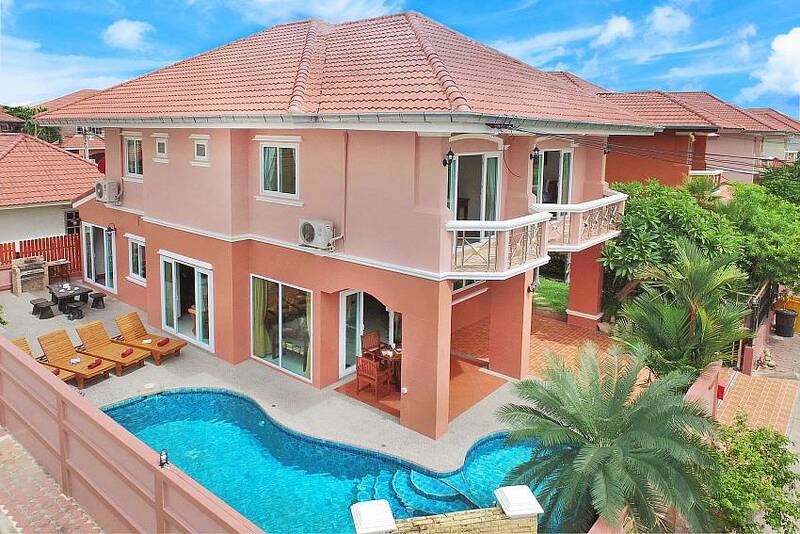 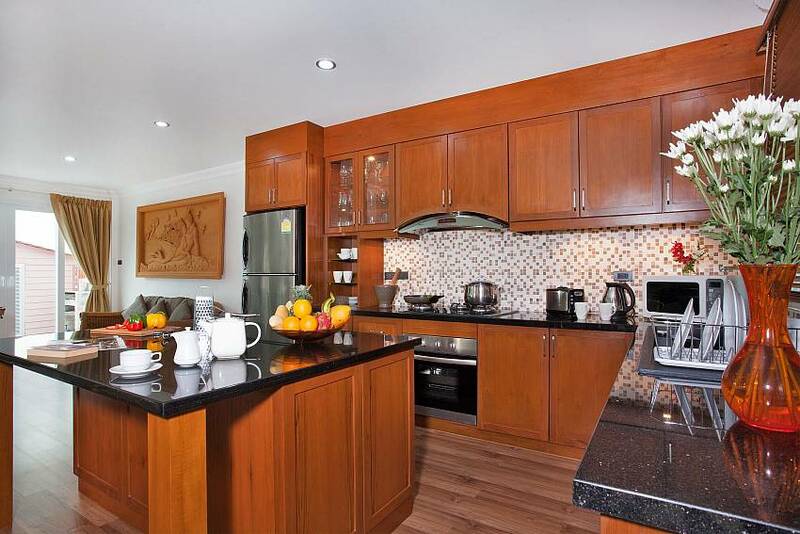 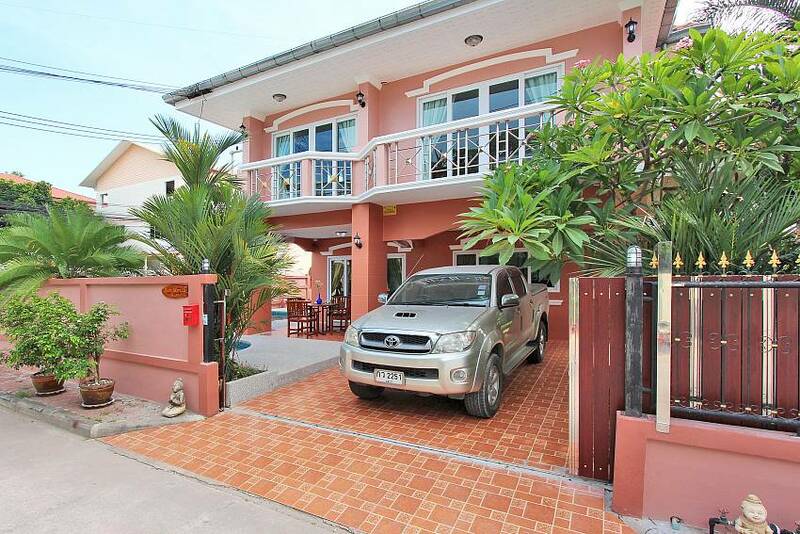 This recently refurbished 4-bedroom villa is something special, located on a gated estate just 1 km from Jomtien Beach. 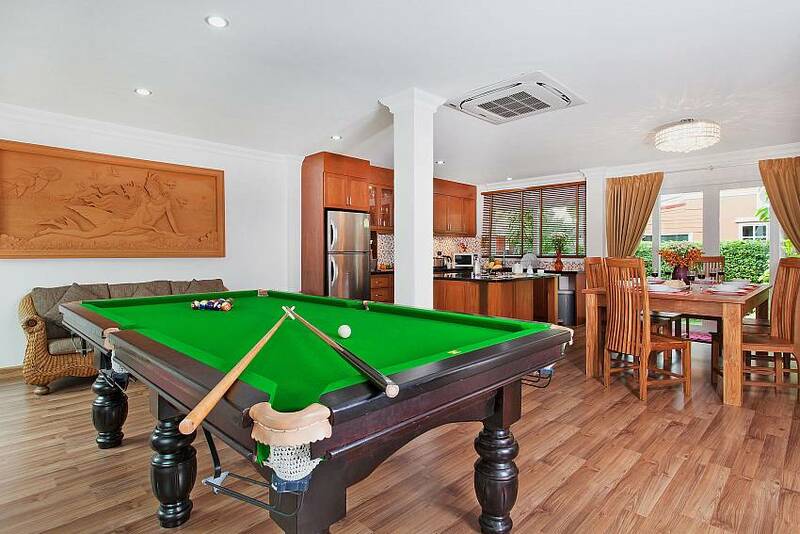 With a swimming pool, a pool table and beautiful antiquated teak wood furnishings, holidaying in Pattaya has never been so stylish yet affordable. 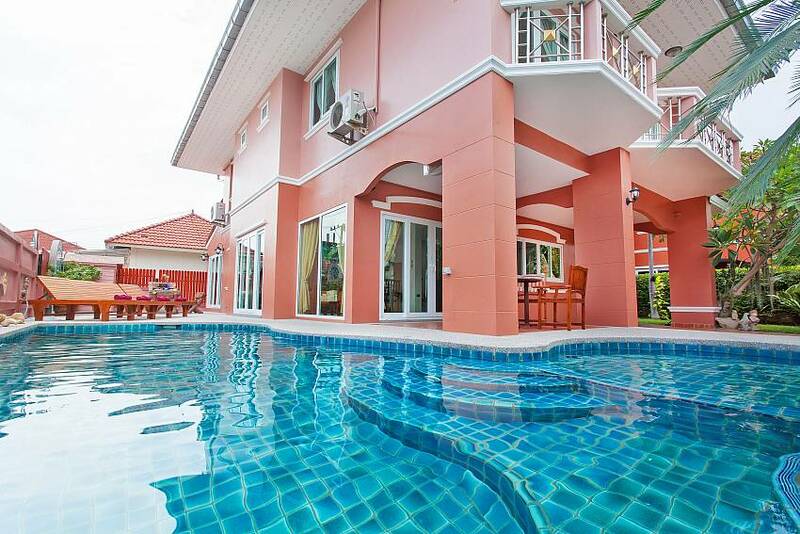 This stunning 4-bedroom villa has recently been refurbished, creating a light, modern and stylish haven to take your Pattaya holiday to the next level. 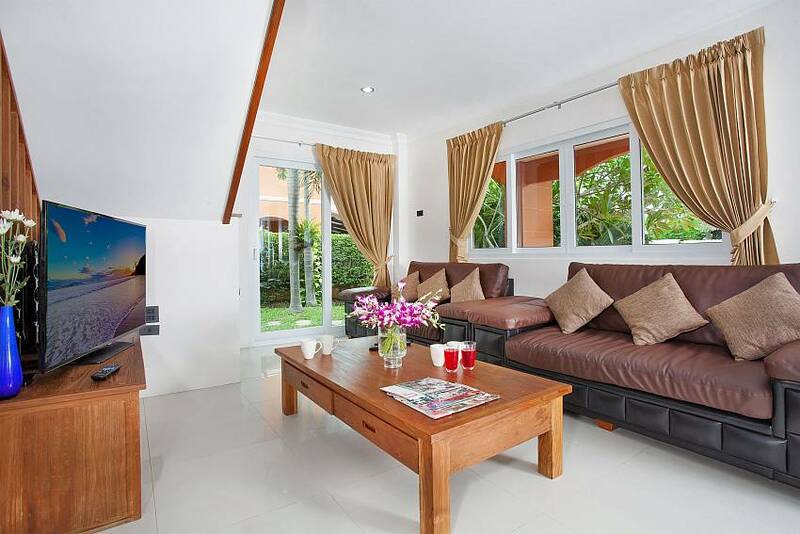 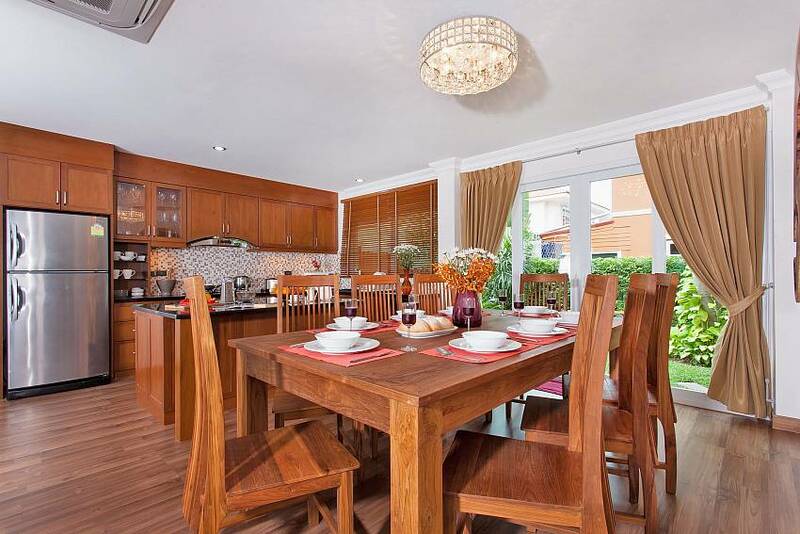 Located just 1km from Jomtien Beach, and set amidst a gated estate, this Jomtien villa rental merges the ultimate in convenience, luxury and affordability. 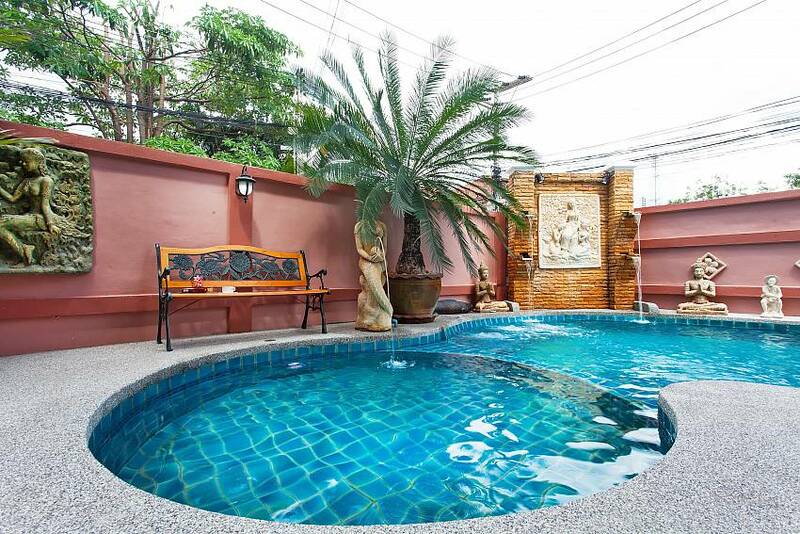 The villa’s garden is home to a private swimming pool with a cascading water feature, sun loungers with wooden tables, and seating for 8 people at poolside. 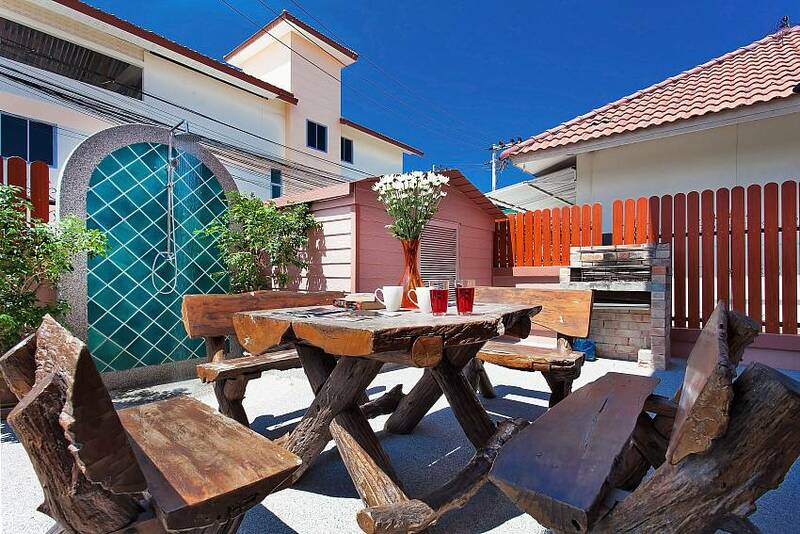 There is also a purpose-built stone BBQ unit in the garden, ideal for cooking up a delicious selection of meats and locally-sourced seafood items in a dreamy poolside location. 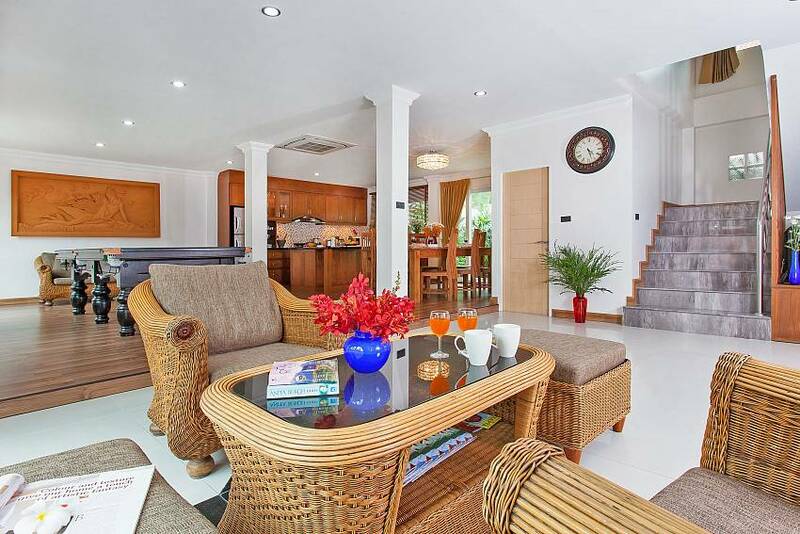 Making your way into the villa, the spacious open plan living area provides a light and airy atmosphere, combining a lounge, dining area and fully equipped Western-style kitchen. 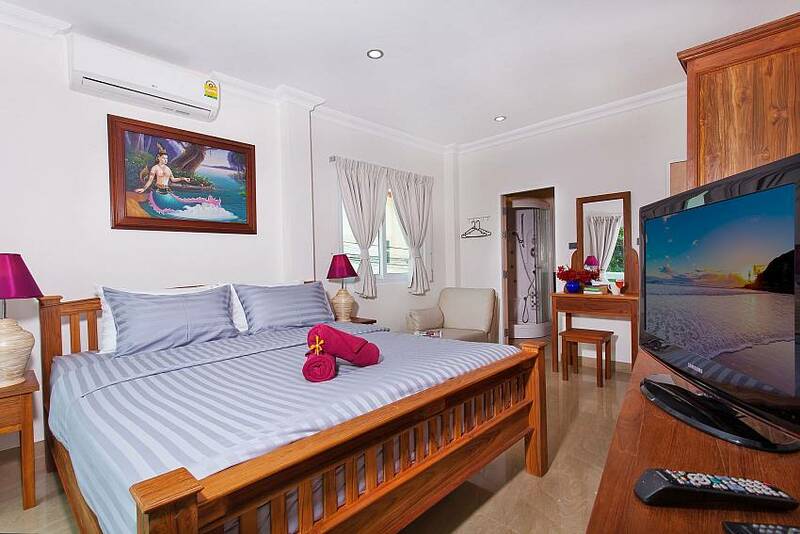 The villa merges a timeless design with a breath-taking selection of 100% natural antiquated teak wood furniture sculptured by local artisans, giving the property real flair. 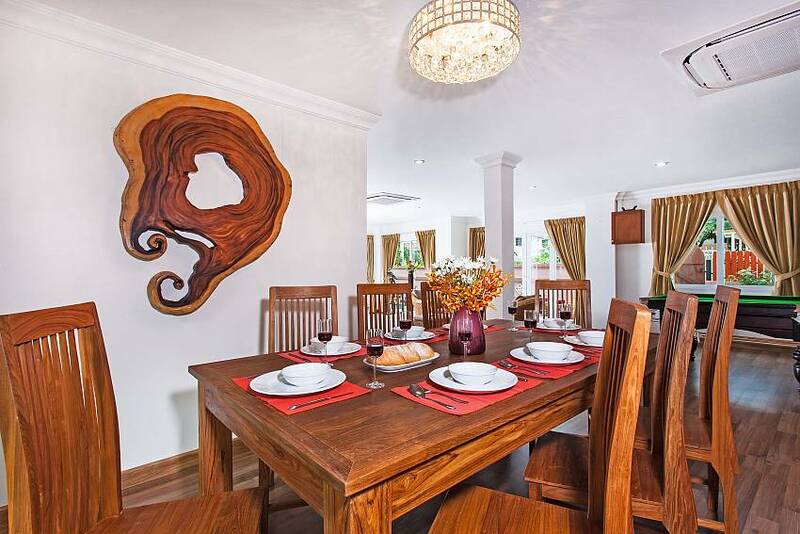 The 8-seat dining table in the lounge, all the beds, side table, wardrobes and vanity sets across the villa are handmade teak. 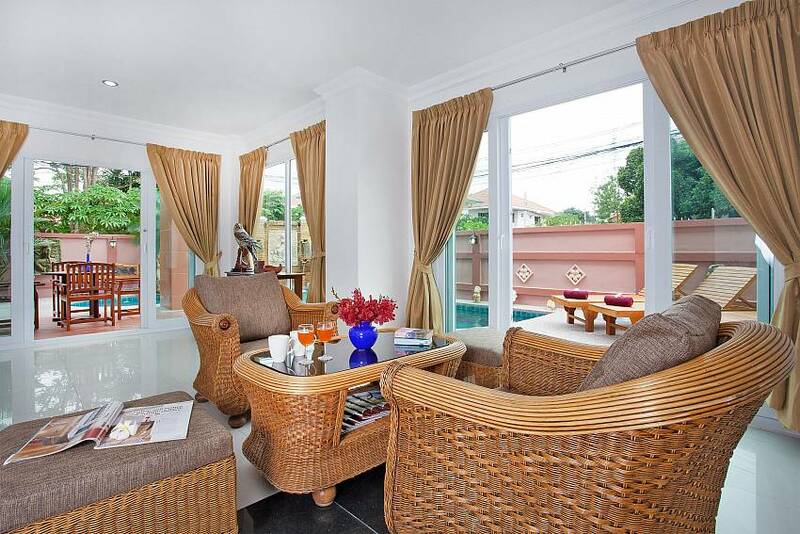 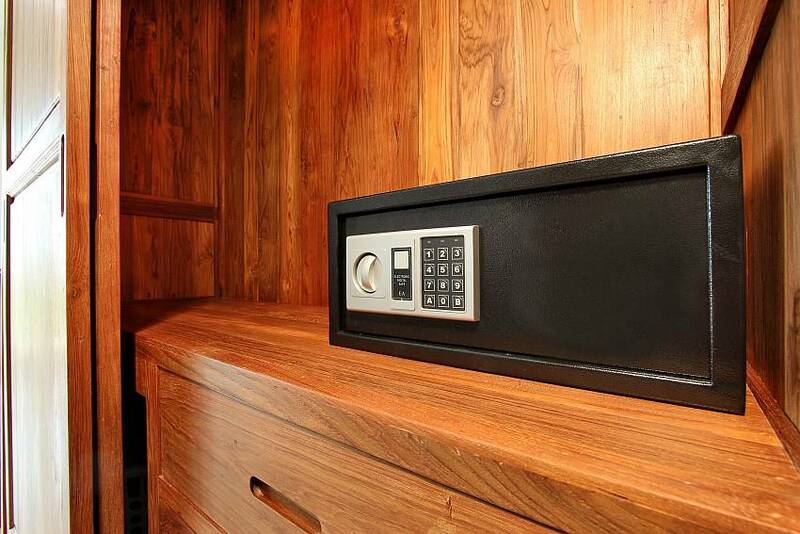 The lounge area features a classy 6-seat leather sofa, a 50-inch flat-screen TV with international satellite channels, a Panasonic DVD player and a surround sound music system. 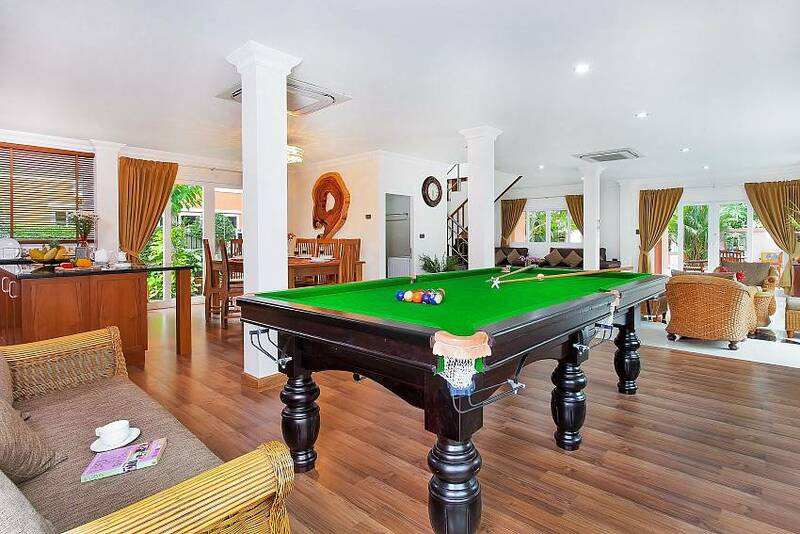 At a slightly raised level from the lounge, you will find a pool table, ensuring evenings in the villa are always fun. 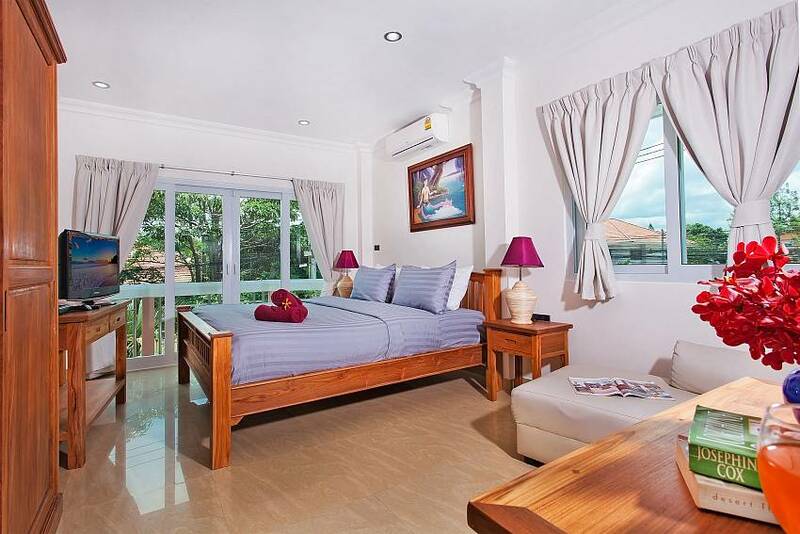 The 4 bedrooms are on the floor above and can sleep 8 people in total. 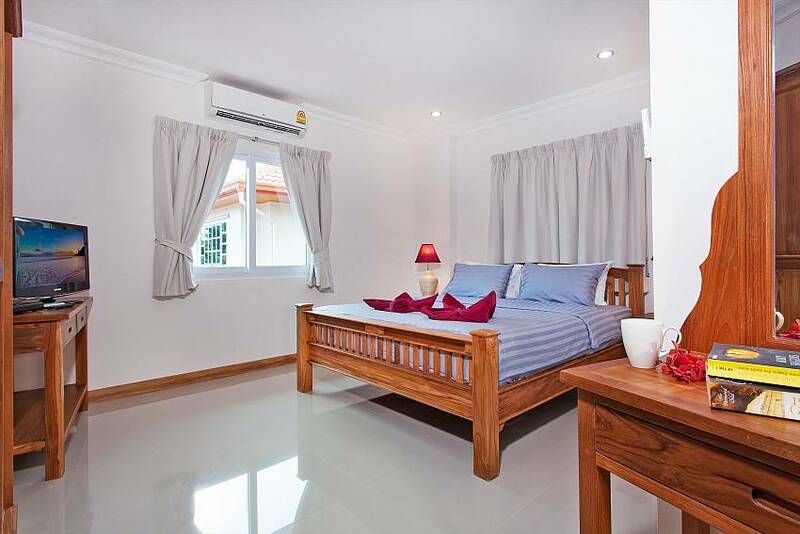 Each bedroom has air-conditioning, 32-inch flat-screen TV and en suite bathroom; the master bedroom also features a safety box. 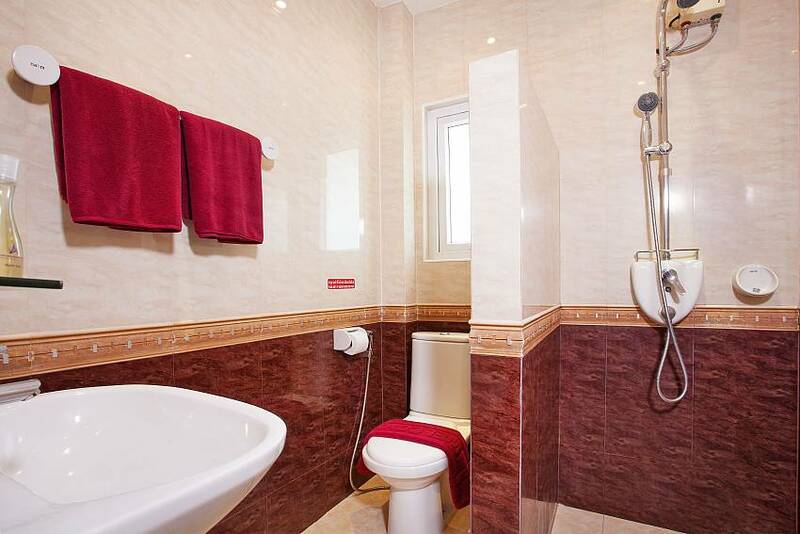 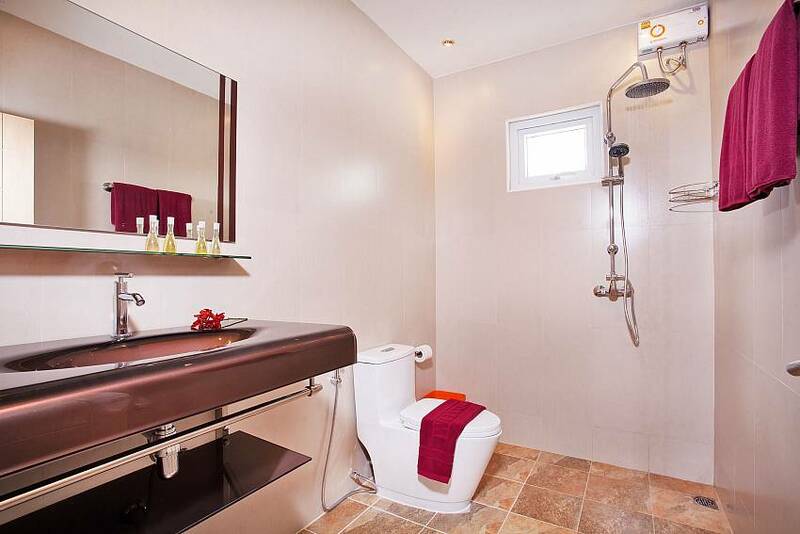 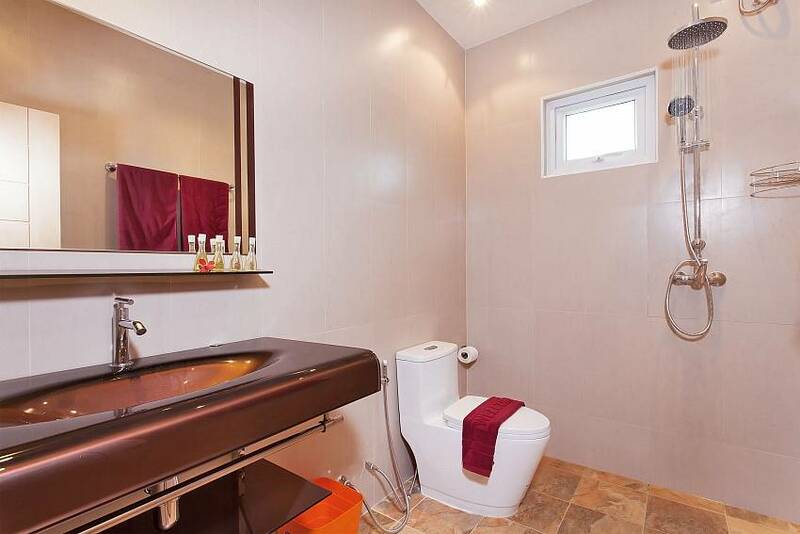 In addition to four en suite bathrooms, there is a guest toilet next to the living area as well. 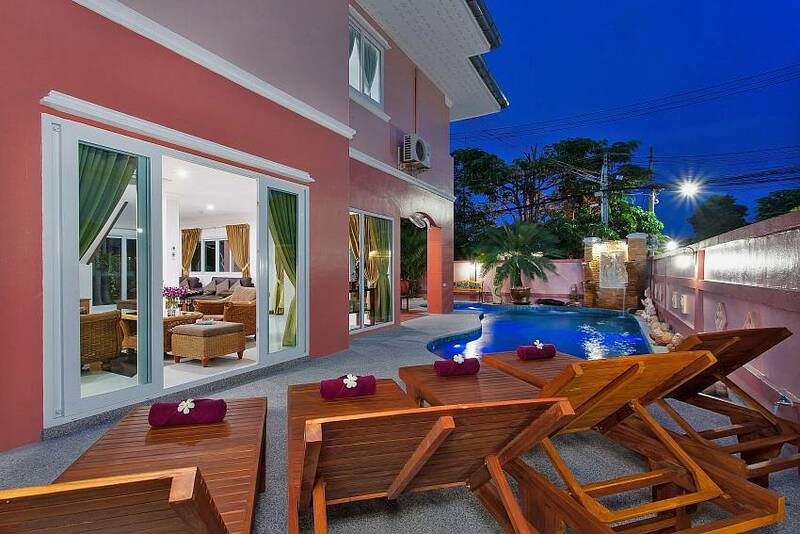 When you seek a modern Pattaya villa rental that is located in a prime holiday location just 1 km from the laidback yet popular Jomtien Beach, for a price that is extremely affordable, nothing in the area comes close to the newly renovated Baan Nomella. 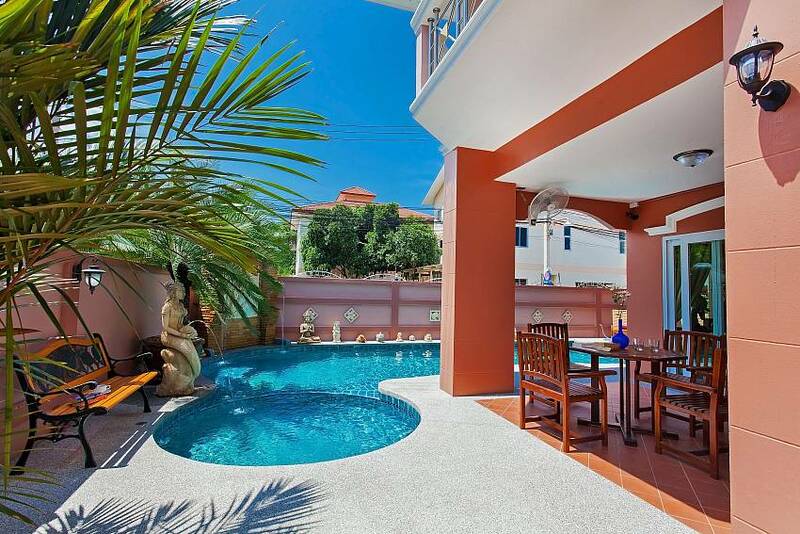 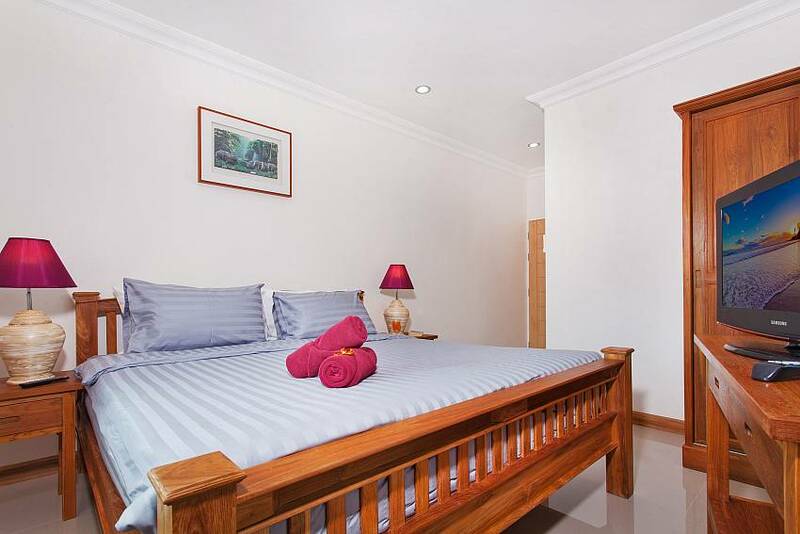 The villa is located on a gated community just 1km from Jomtien Beach, which ensures you are a short distance from lots of international and Thai restaurants, a short stroll from convenience stores, and within close proximity to lots of nightlife options. 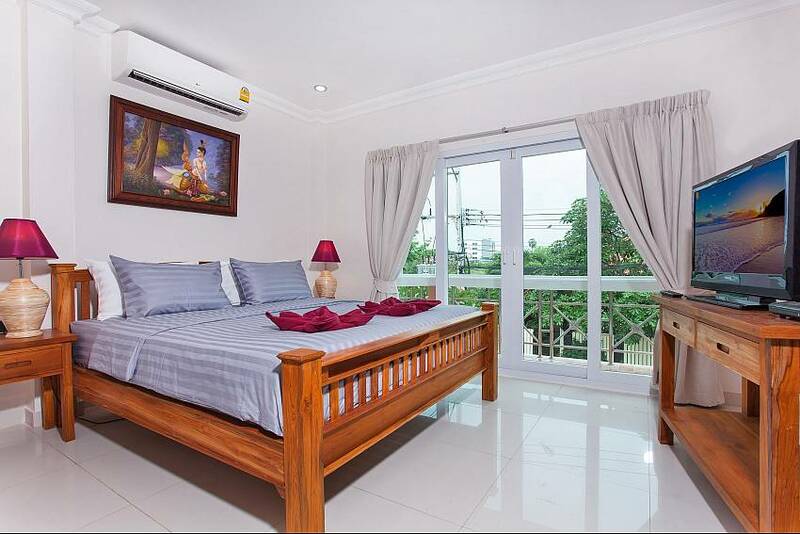 Attractions such as Pattaya Floating Market and Pattaya Underwater World and shopping centers are just a 5-minute drive from the villa.